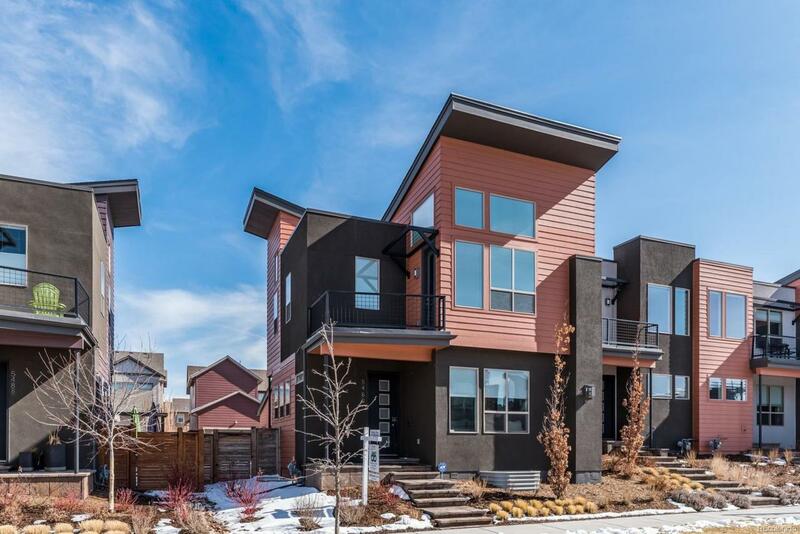 Fantastic Contemporary End-unit Rowhome in Stapleton's Willow Park East Neighborhood! Complete with a large fenced-yard, covered patio and oversized 2-car garage! 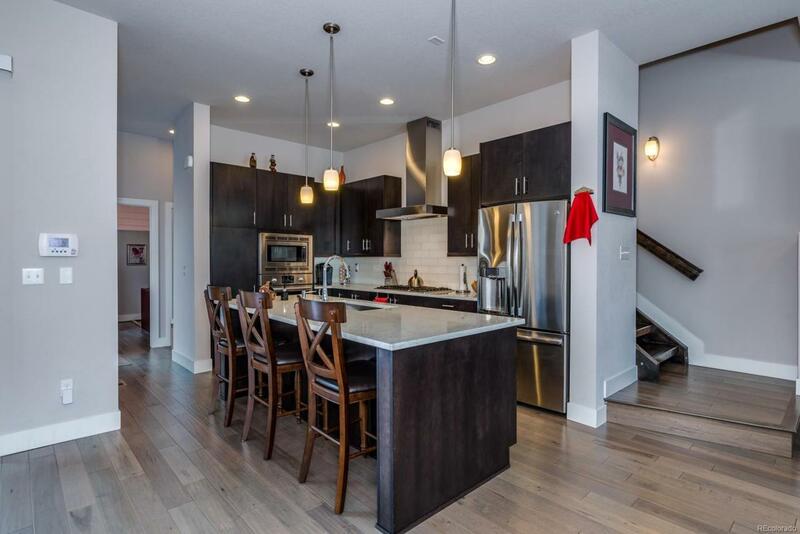 Open main level w/ wide plank floors throughout is great for entertaining inside & out! Cook's kitchen offers quartz counters, stainless steel Bosch appliances, glass tile backsplash and tons of storage w/ soft-close cabinetry! Large dining and living areas include contemporary fireplace, built-ins, and lots of natural light! Tucked down the hall is a large private office w/unique wall of glass! Master-suite is a perfect retreat! Enjoy the large bedroom w/ soaring ceiling, luxurious 5-piece bath, huge walk-in closet & private deck! Bonus flex space perfect for exercise, tv viewing or reading nook. 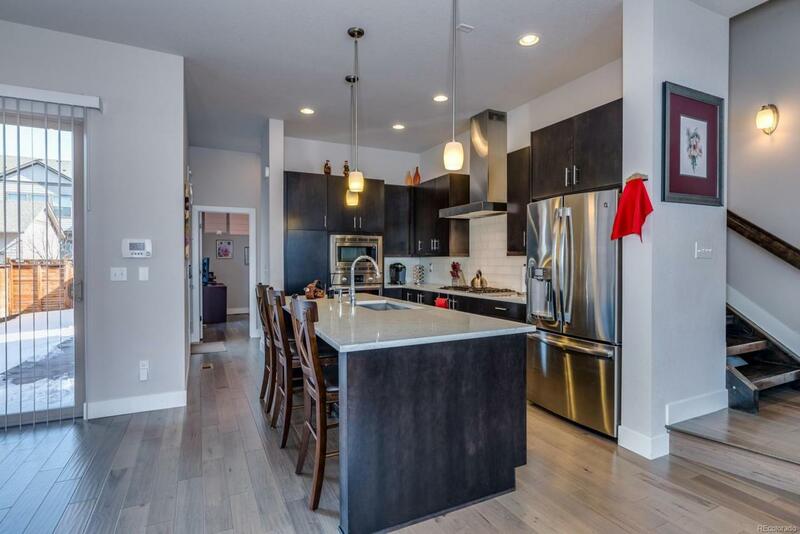 2nd bedroom suite w/ well-appointed full bath & convenient laundry room complete the upstairs. Open basement, ready to finish! 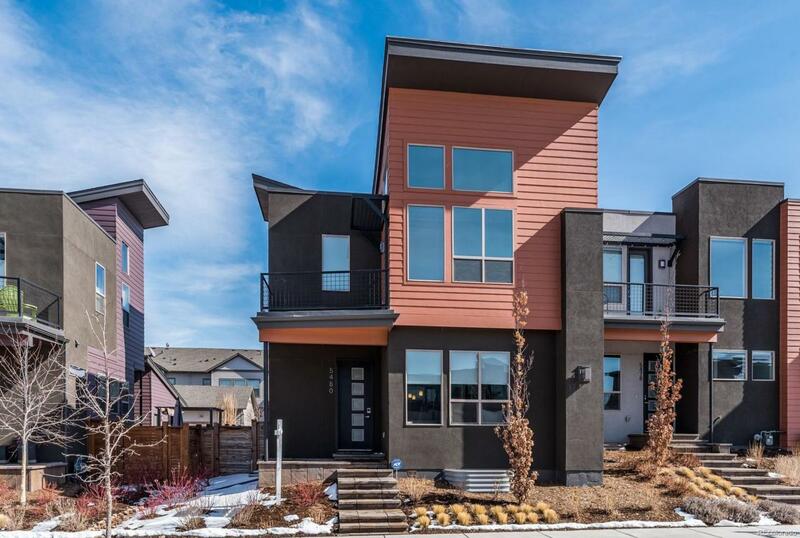 Step outside and relax in the large private yard or explore all the parks and trails Stapleton offers! Offered by Denver Boulder Real Estate, Llc.